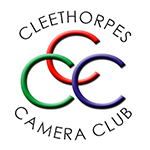 Welcome to Cleethorpes Camera Club we have four meetings a week. Monday morning group. 10:00am until 12:30. Bank holiday Monday meetings are moved to the Tuesday morning. Tuesday evening digital Section. 7:30pm until 10pm. Thursday evening video section. 7:30pm until 10pm. Friday evening. 7:30 until 10pm. If you’re interested why not pay us a visit. You can try us out for 3 free visits before deciding whether to join us or not. You can download the current club programme here.